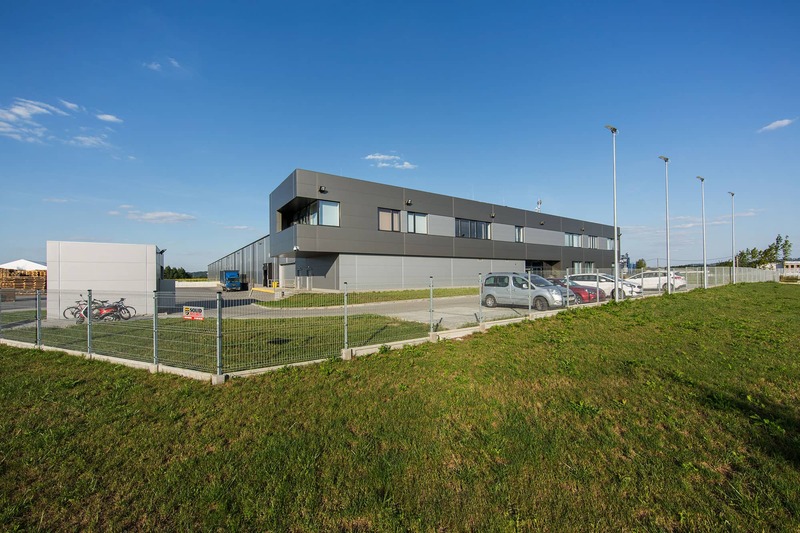 This project calls for the construction of a packaging production factory for TPMS Polska S.A. A production building with a warehouse part and an office building which also houses the registered offices of TPMS were erected as part of the project. 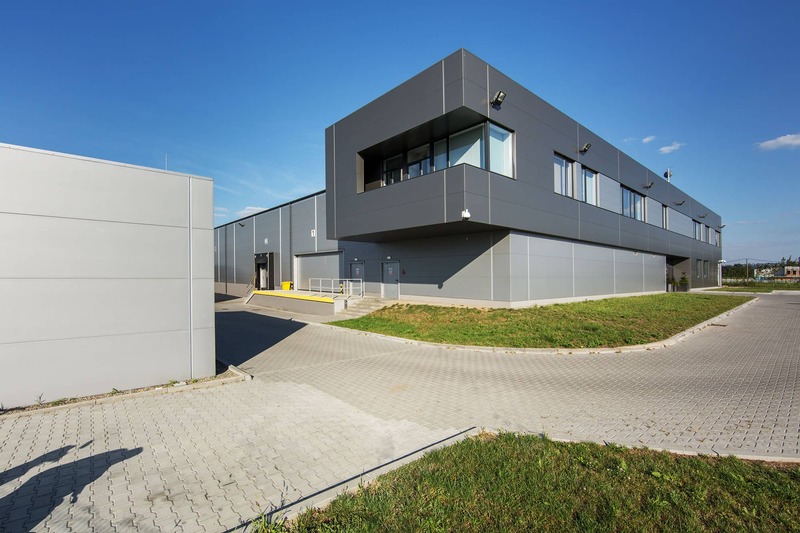 This investment project was completed at the turn of 2013 and 2014 within the developing industrial zone in Kopanka (Skawina) near Kraków. The main function of the facility is the production of cardboard packaging, and, to a lesser extent, also packaging of other materials. 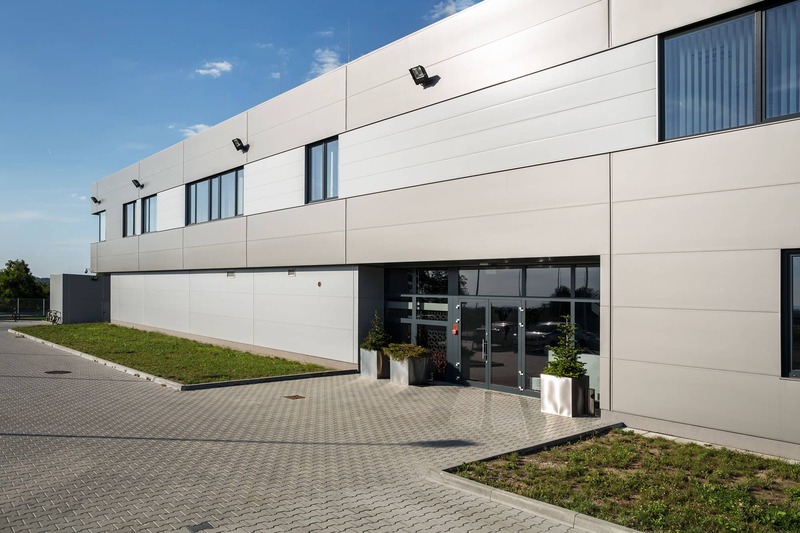 The employee welfare and office part is to supplement the primary function of the production building by housing the welfare facilities for blue-collar workers from the production building and offices for the administrative staff. 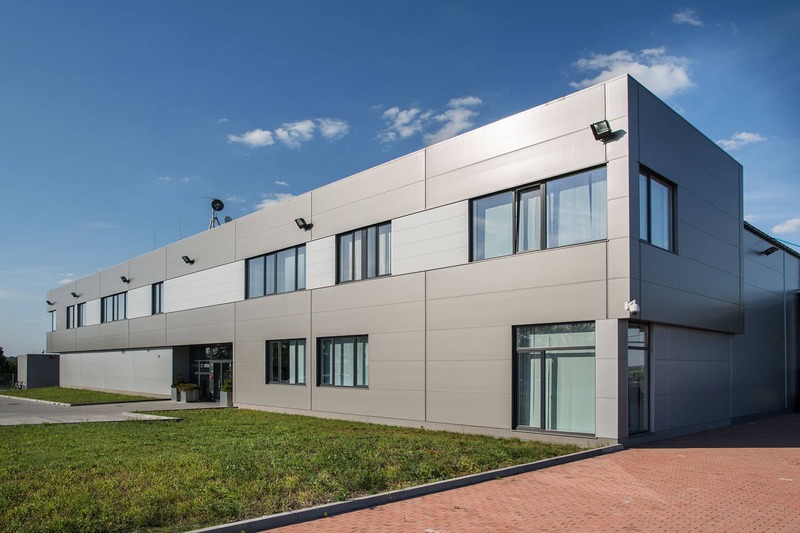 The architecture of the facility is characterised by a compact, minimalistic form combining the functions of the production building and the office part, additionally emphasised by the use of a uniform finishing material on the façade, namely sandwich panels in a horizontal orientation. In the production part, these panels form the cladding of the shed, in the office and welfare part they form the thermal insulation of the masonry wall. The graphite-coloured shape of the office building is embedded in the front elevation of the production building, thus marking the stately part of the building but without disturbing its compactness. 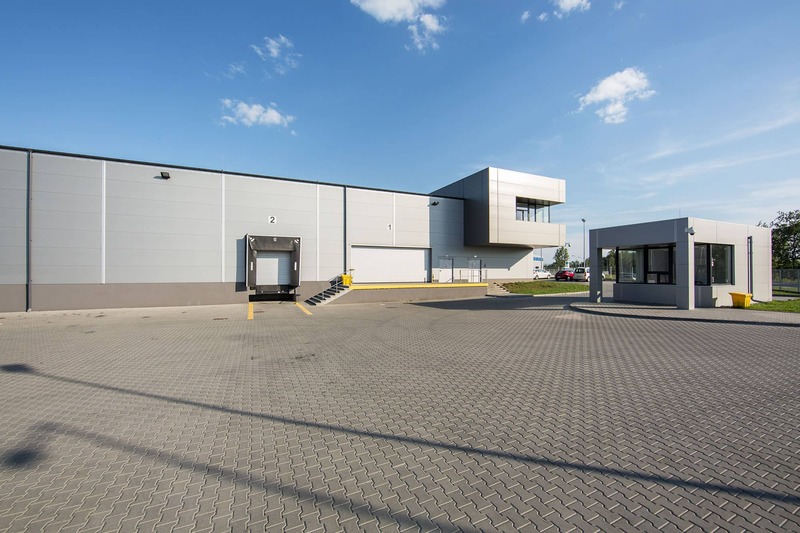 The production building was designed with two aisles, a single-storey, and a steel frame structure. The main structure of the production building consists of two-span plate girder frames. 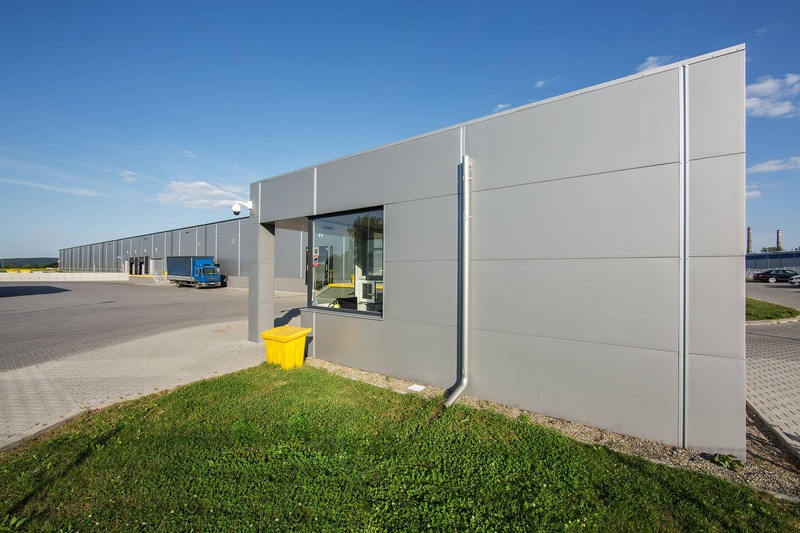 The cladding is designed of sandwich panels with a polyurethane foam core. The entire structure is covered with a gable roof of a slight slope of 2°. A two-storey office building is located in the front part. It has been designed as a reinforced concrete frame structure with a 3.6m overhang on the side of the vehicular entry onto the lot. The whole is supplemented by a small, free-standing porter’s lodge. 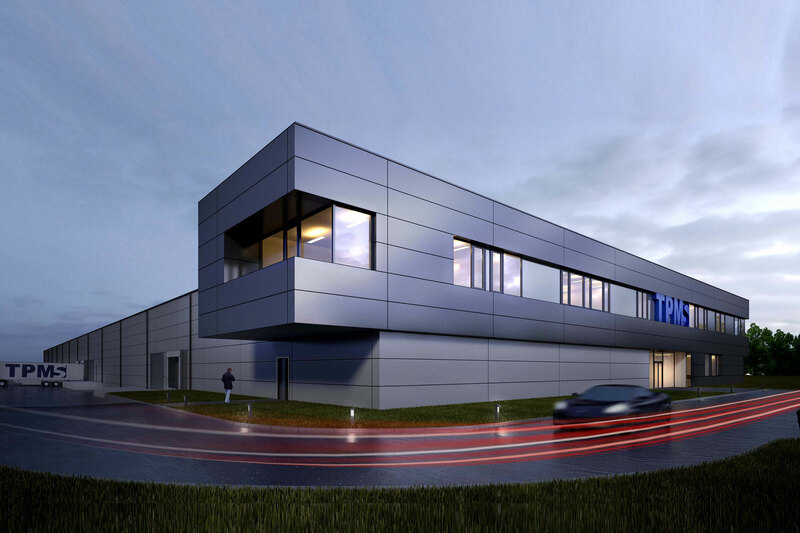 The design of the production and office building was selected in a tender for a design-and-build contract (signed as a team with the Stalbau contractor), where apart from the appearance and function, the economics of the adopted design and material solutions were also important.